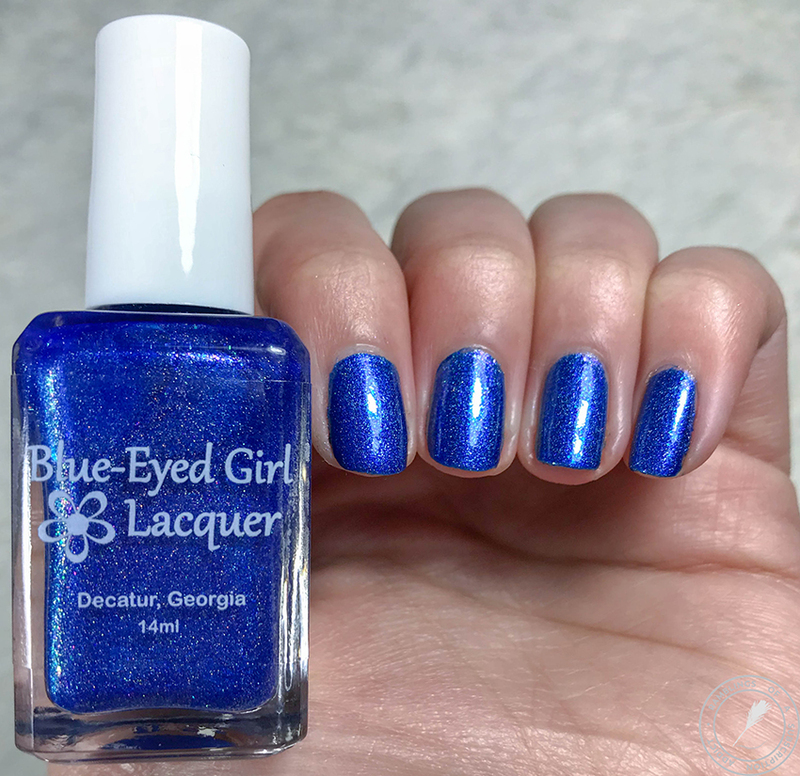 For the final polish releasing at The Indie Shop from Blue-Eyed Girl Lacquer, there's a stunning blue for you to grab. You definitely know from the start that I'm most likely to fall in love, it's a blue and that's about all it takes. 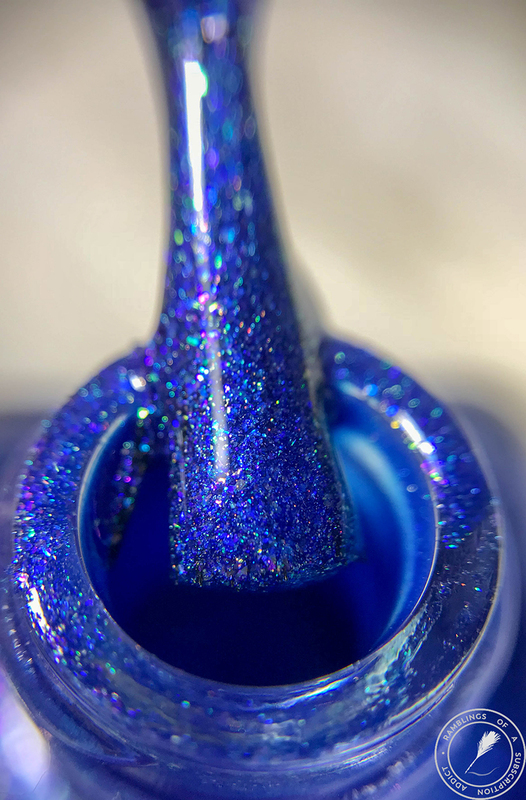 This polish is $12 and will be available next month as a limited edition! 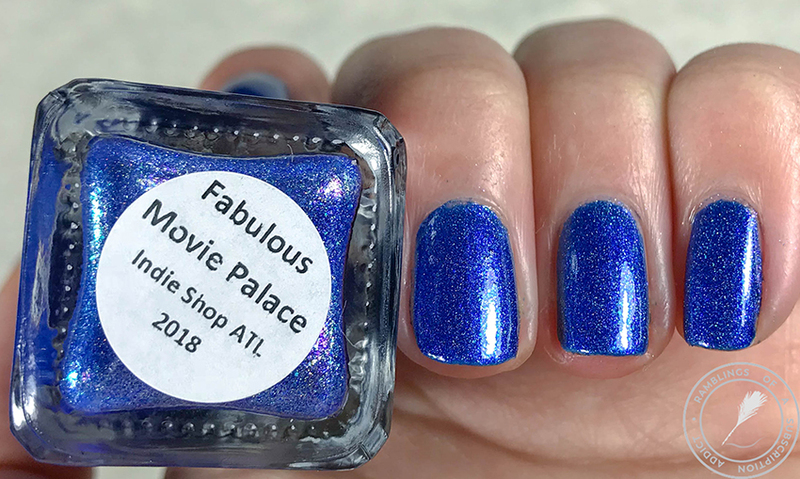 Fabulous Movie Palace is a bright blue holographic with gold shimmer, gold and purple microflakies, and a purple to red shifting aurora pigment. 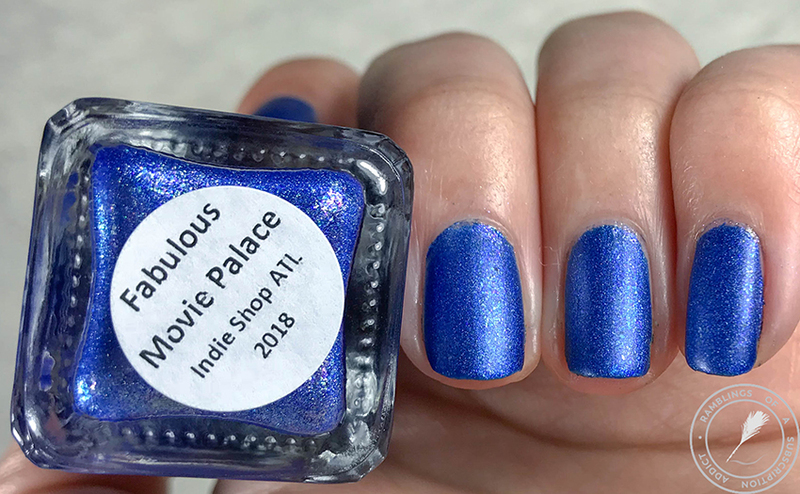 Inspired by the ceiling at Atlanta's Fox Theater. 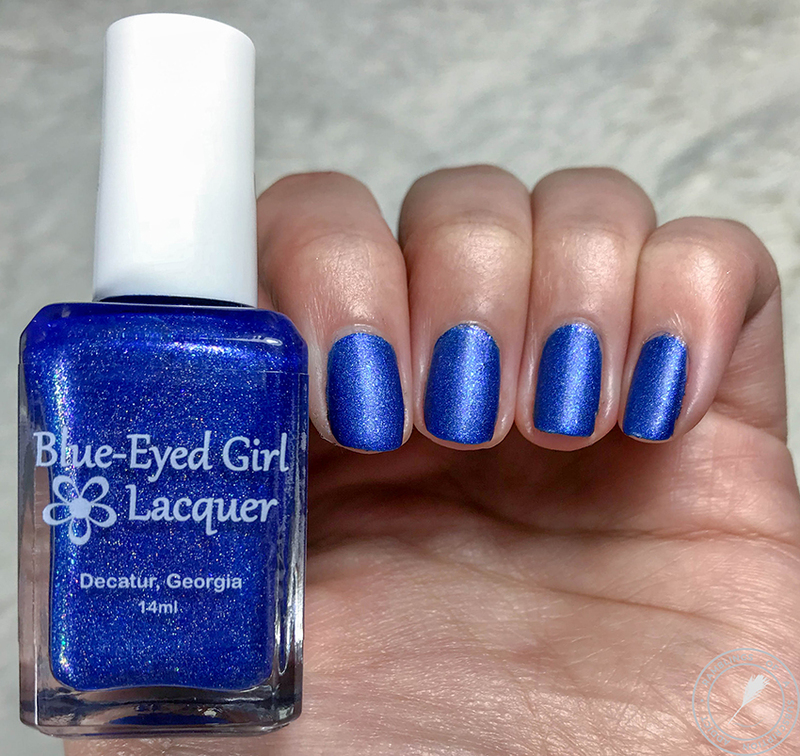 This is a super stunning polish. 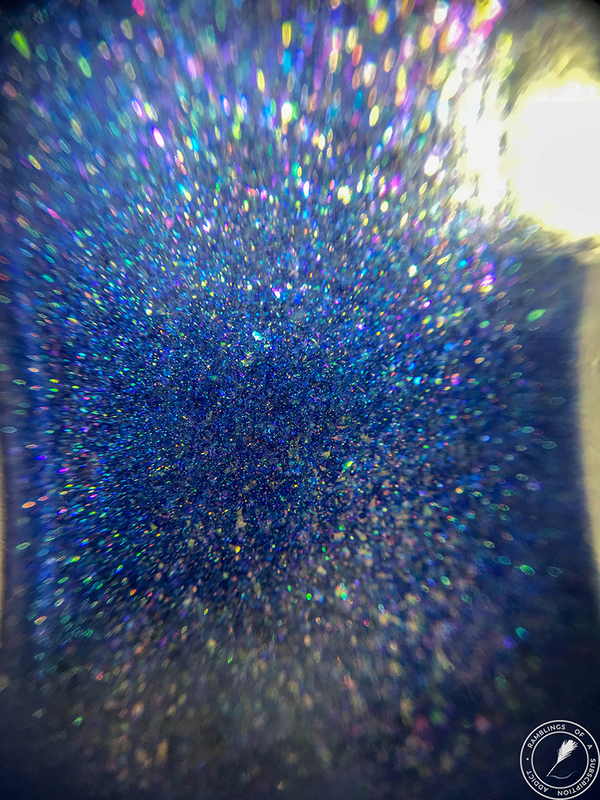 The shimmer, the holographic, it's amazing. It applied so wonderfully too. 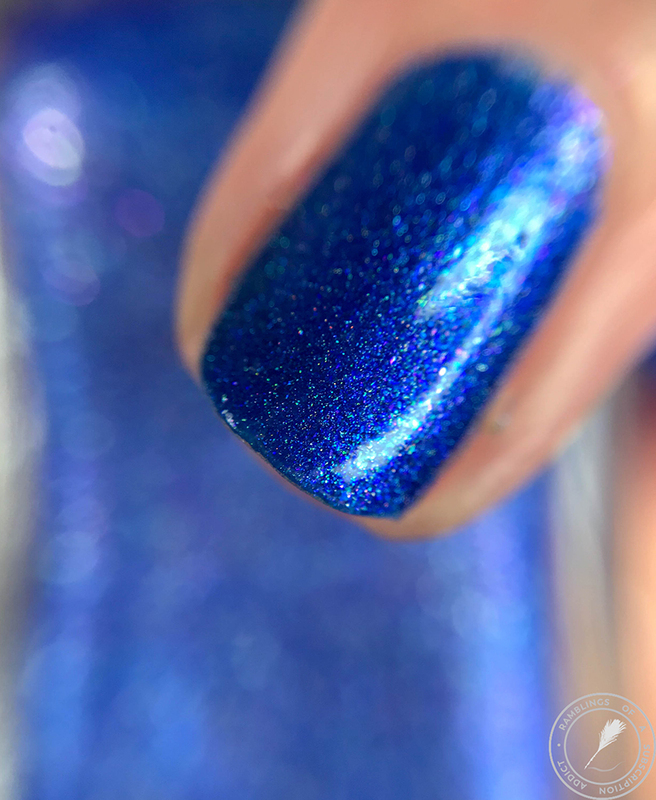 Where the light hits and the shifty shimmer comes out, it's absolutely stunning. 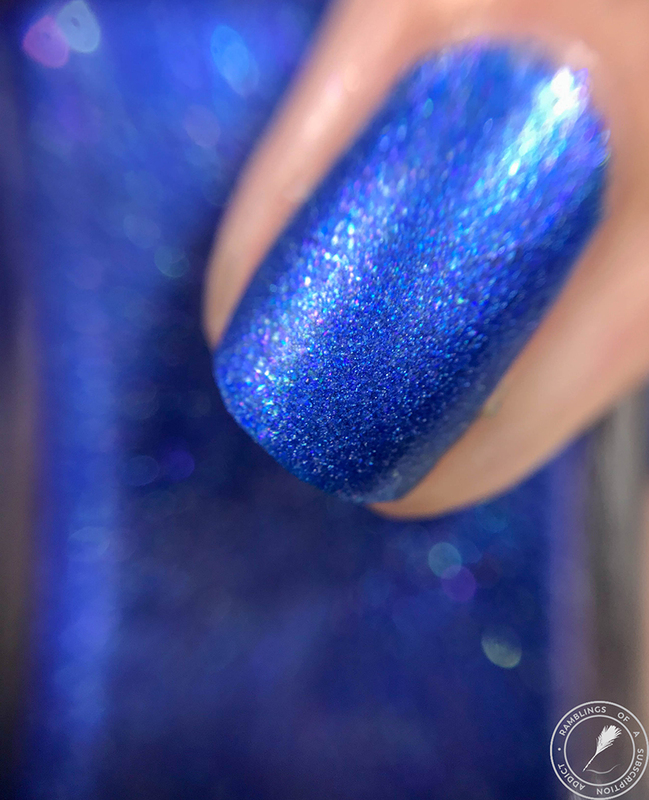 I'm not as big of a fan of this polish matte. 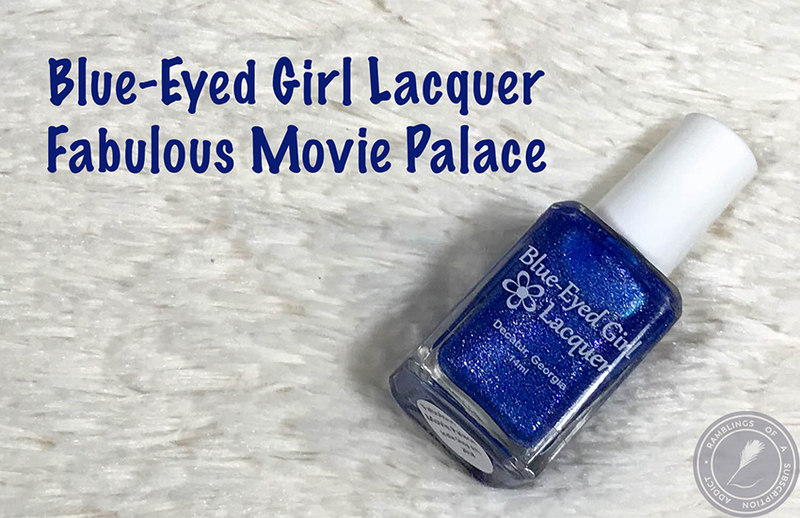 This really needs to shine with a super shine top coat.